Handles on LocoNet takes its power from LocoNet, but available current is often rather limited. This card is used togheter with a booster to make more current available which is needed at larger module meetings. 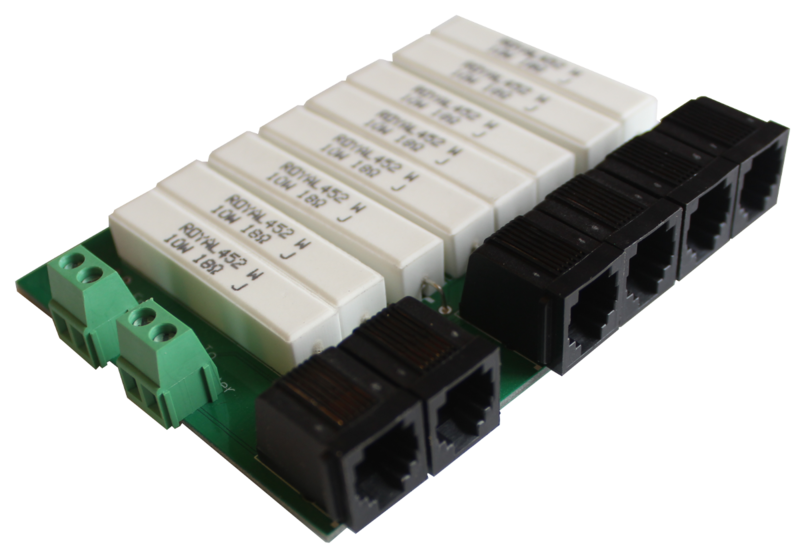 Within module organization FREMO this type of card is known as RSCLD, "RailSync Current Limiting Device". 4 output with up to 500mA each. The kit consist of PCB and components. Box and booster is not included. This card can be used with the DCC central Z21. The LocoNet output of Z21 lacks the signal for external boosters (RailSync) and is very limited in power. To use a Z21 at a module meeting the LocoNet requires a working RailSync signal. 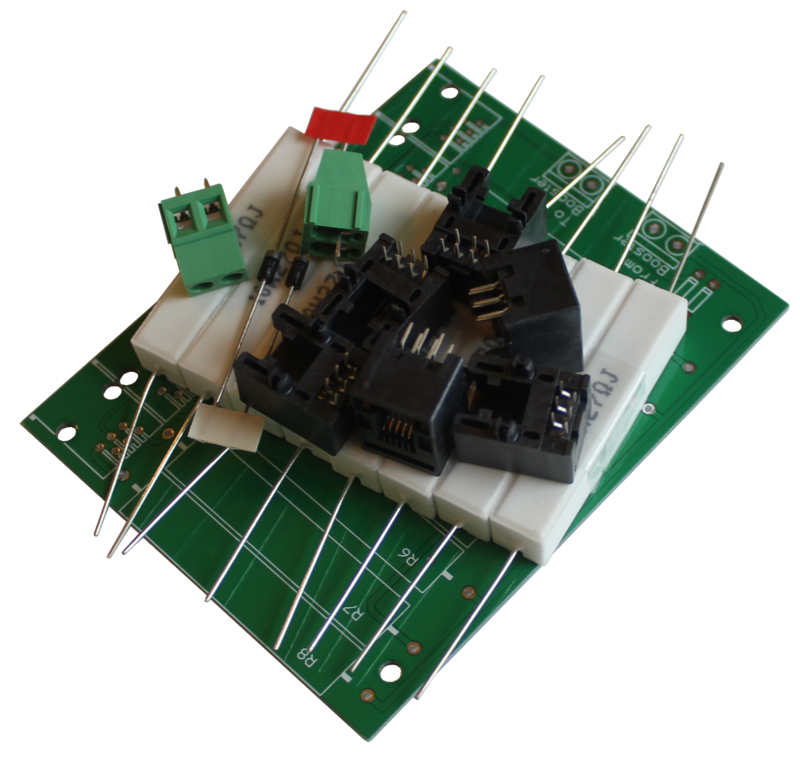 This card can be used together with the Z21 to produce a LocoNet with a RailSync signal. This is accomplished by using the track output from Z21 as RailSync and mix it with the LocoNet output from the central. The resulting LocoNet will have a working RailSync and will provide enough power.